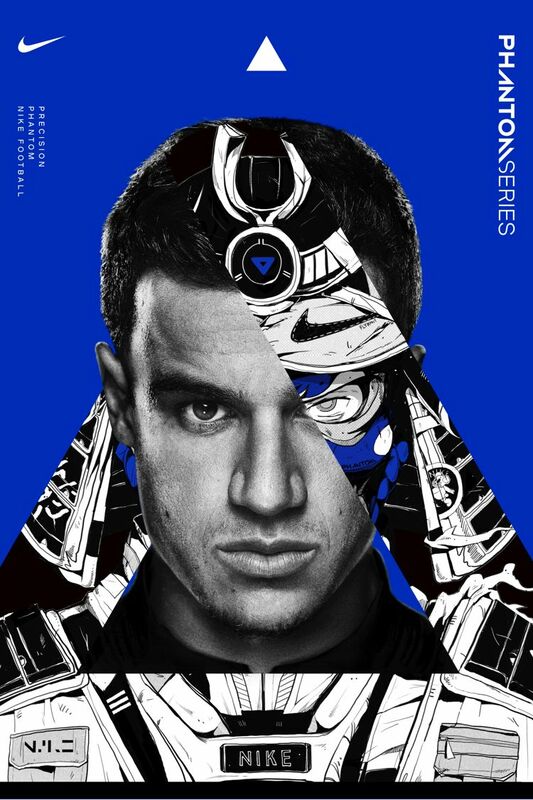 Phantom players like Coutinho don’t crack under pressure. They thrive in it. 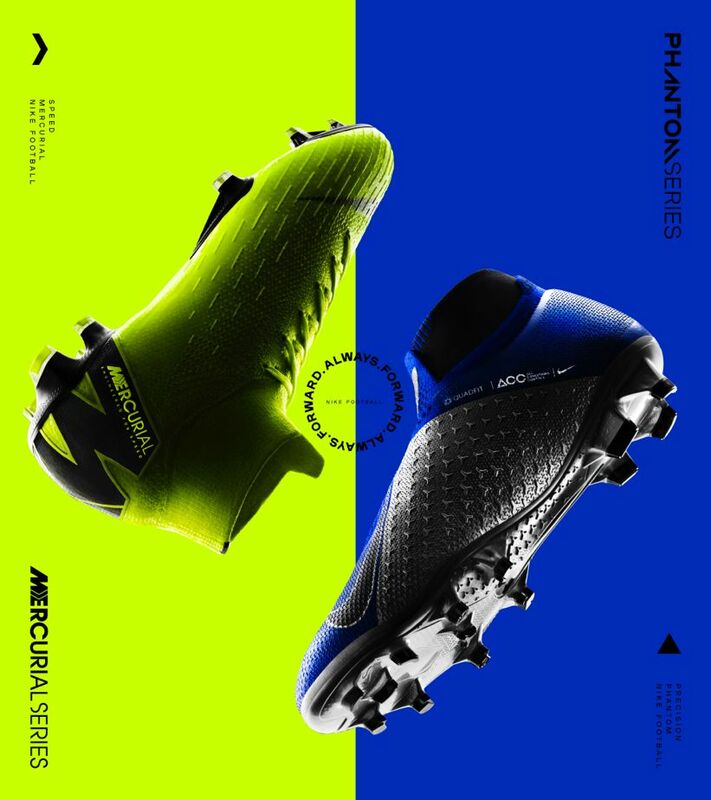 When the Barcelona attacking midfielder laces up the new PhantomVSN ‘Surge’, he enters a calm state of composure — completely unpredictable to defenders. “The [PhantomVSN] really helps with your touch,” Coutinho says. “It makes you feel like you're going to convert the pass and have good control.” That focus on precision makes him especially dangerous considering possession is at the center of his game. When he’s not stealing the ball out from under his opponent’s legs, the Brasilian is tip-toeing through defenders to set up the play. 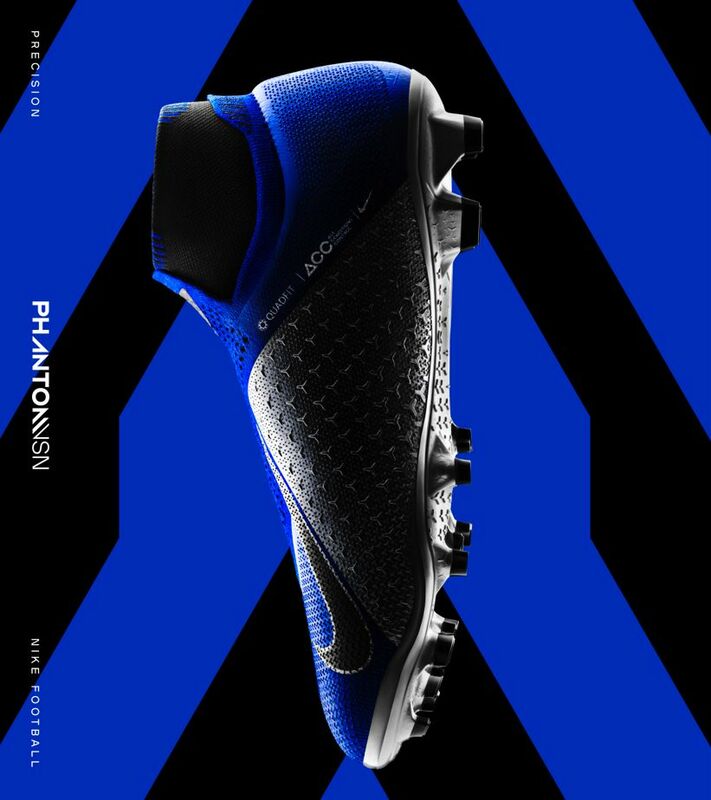 And with the PhantomVSN’s textured Flyknit upper, he’s got the control to put spin on the ball when he strikes. 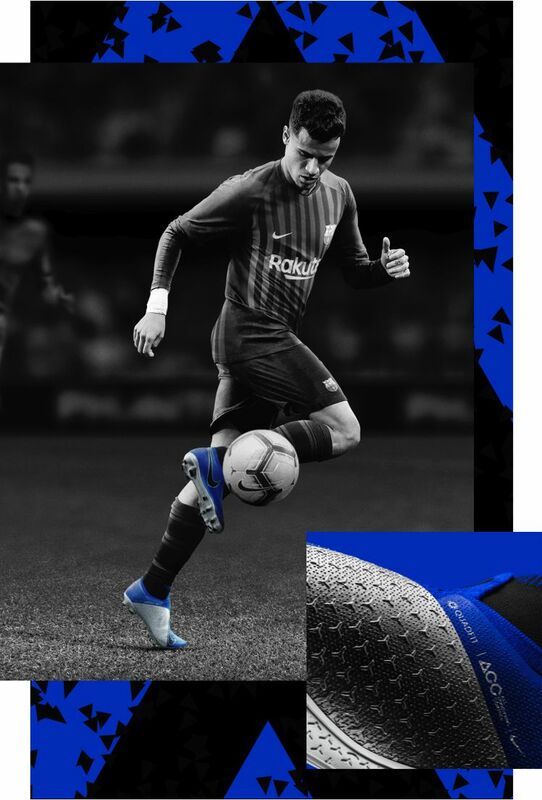 From the kits of some of the oldest clubs in the sport to classic cleats like the original 1998 R9 Mercurial, blue has always been at the heart of soccer. 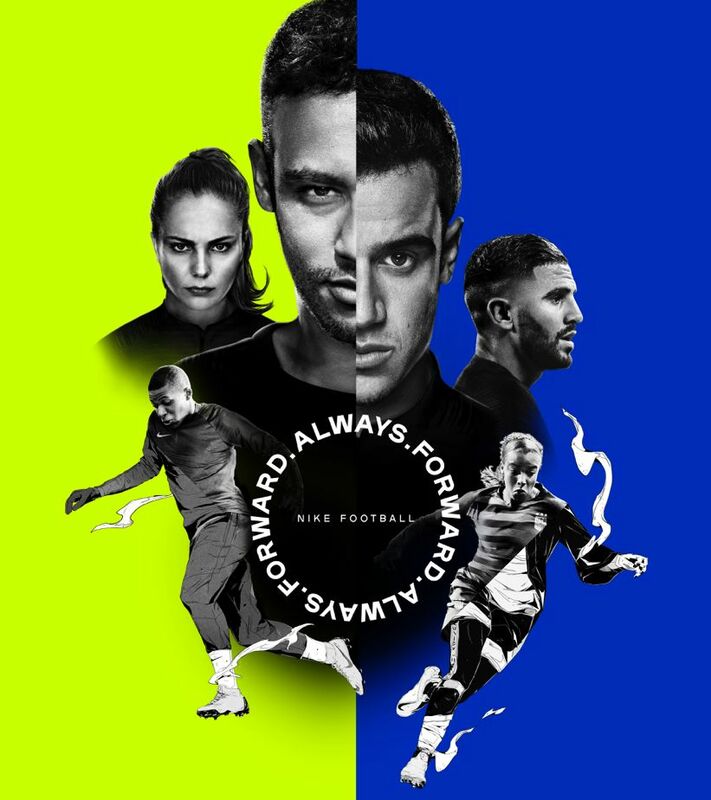 For the PhantomVSN ‘Surge’, Nike designers tapped into the science behind the color, harnessing its calming effect. 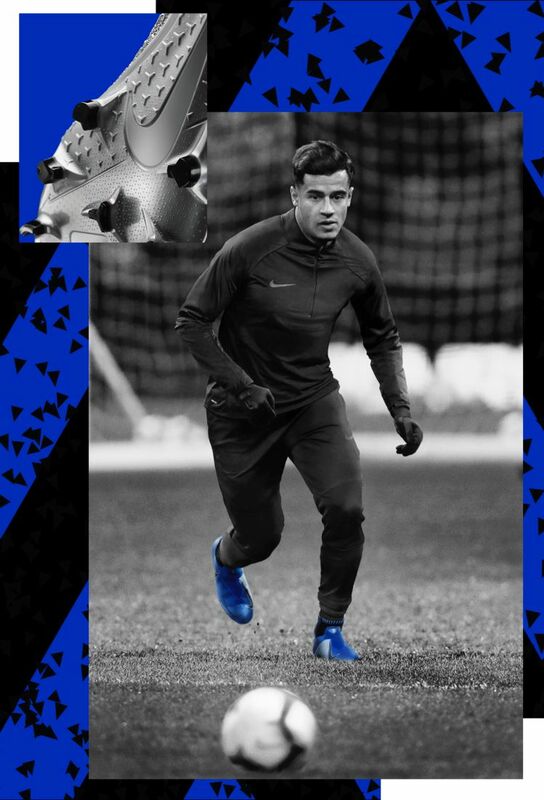 Perfect for Coutinho’s methodical play style, the blue colorway helps keep him composed in his biggest matches.